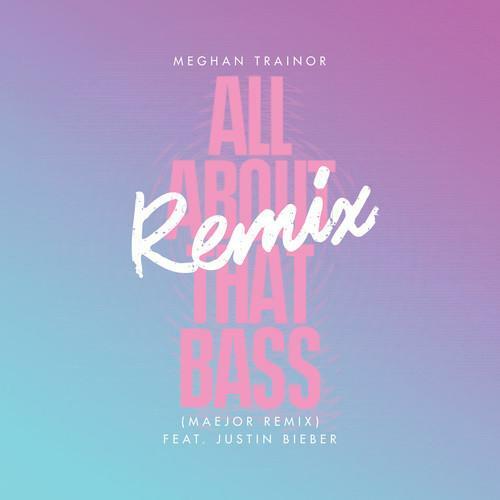 Maejor Ali and Justin Bieber decide to remix Meghan Trainer's "All About That Bass." Meghan Trainor has blown up on YouTube with her #1 Billboard hit "All About That Bass", off her new Title EP. While the song is extremely poppy, Maejor Ali and his friend Justin Bieber have decided to give it a re-work. Producer (and sometimes rapper) Maejor Ali adds a significant amount of bass to the production and giving it more of a hip-hop/EDM feel, chopping things down a notch. Biebz comes in to assist Meghan Trainor on the hook, pushing her vocals to the background, and he goes in on ladies who photo shop. What do you think of it? Watch the original song/music video below.